PHOENIX, AZ – Service members and veterans find that participating in events in their community eases the transition from military to civilian life and improves their overall well-being, according to a major new survey released today by the nonprofit Veteran Tickets Foundation (Vet Tix), which received input from more than 44,000 currently serving military personnel and veterans who have signed up for Vet Tix’s services. The survey results will help Vet Tix and other organizations serving the military and veterans better understand the needs and preferences of this national cross-section of Americans who serve or have served. 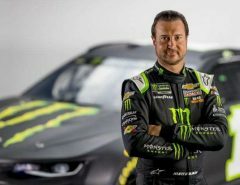 Vet Tix provides free event tickets to currently serving military, veterans and family members of those killed in action. Since 2008, Vet Tix has provided over 2.8 million free tickets to a community of 500,000 verified service members and veterans, allowing them to attend concerts, sports events, conventions and other community events while paying only a small delivery fee. Access to Vet Tix’s support enabled nearly 60 percent of respondents to attend a new type of event. 70 percent of respondents feel that non-veterans can’t relate to military service and their struggles. Attending events through Vet Tix significantly improves respondents’ perception of their community’s support for veterans, with more than 90 percent agreeing, after attending events through Vet Tix, that their community supports veterans. 35 percent of respondents reported feeling isolated from personal relationships after serving in the military. That’s why it’s great news that over 95 percent said that attending events with significant others improved their relationships. Service members and veterans experience many difficult transitions as they reintegrate into their families, communities, and eventually, into civilian life. The data results drive home that organizations like Vet Tix provide a means for veterans to spend quality time with family and friends, and in turn, rebuild and strengthen social networks. A summary of key survey findings is available at the following link: https://www.vettix.org/publicDocs/2016SurveySummary.pdf. The full survey document is available at the following link: https://www.vettix.org/publicDocs/2016VetTixImpactSurvey.pdf. 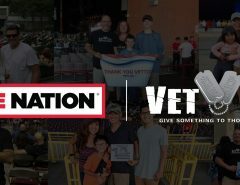 Veteran Tickets Foundation (Vet Tix) is a national non-profit that supports the military community by providing free event tickets to currently serving military, veterans and family members of those killed in action, allowing them to attend sporting events, concerts, performing arts and family activities. 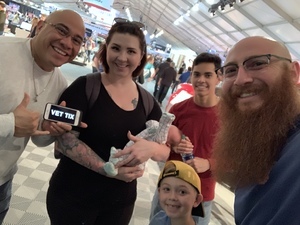 Since 2008, Vet Tix has provided more than 2.8 million free event tickets to over 500,000 verified VetTixers, giving back to those who have given so much. Military and veterans experience many difficult transitions as they reintegrate into their families, community, and eventually, into civilian life. Attending events improved morale, strengthens family bonds through shared interest and encourages service members to stay engaged with local communities and American life. 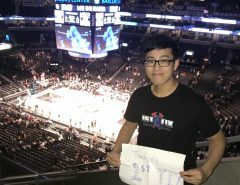 Visit VetTix.org to learn more, and follow us on Twitter and Facebook. 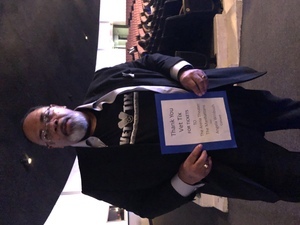 I want to thank you so much for the four Vettix tickets . 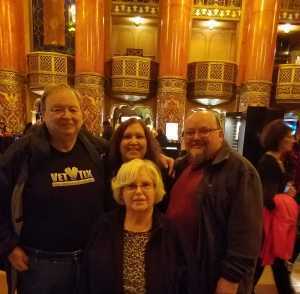 We thoroughly enjoyed ourselves at the Fox Theater. IL DIVO made it a memorable evening as they sang beautifully. Being a Navy Vietnam Veteran, I truly thank you! 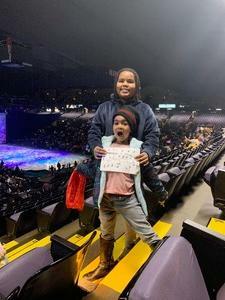 Thanks you kindly for the tickets to this awesome show!